Delta Airlines, the second-biggest airline in the world by passengers carried, has ordered 50 widebody long-range jets from Airbus, dealing Boeing a blow in one of the most hotly contested commercial aircraft competitions in recent years. The order, worth about $13 billion at list prices, is for 25 Airbus A350-900 and 25 A330-900, aviation site Leeham News reported, citing two unidentified sources. Both the planes are twinjets designed to reduce fuel consumption compared to the previous generation of large passenger aircraft. 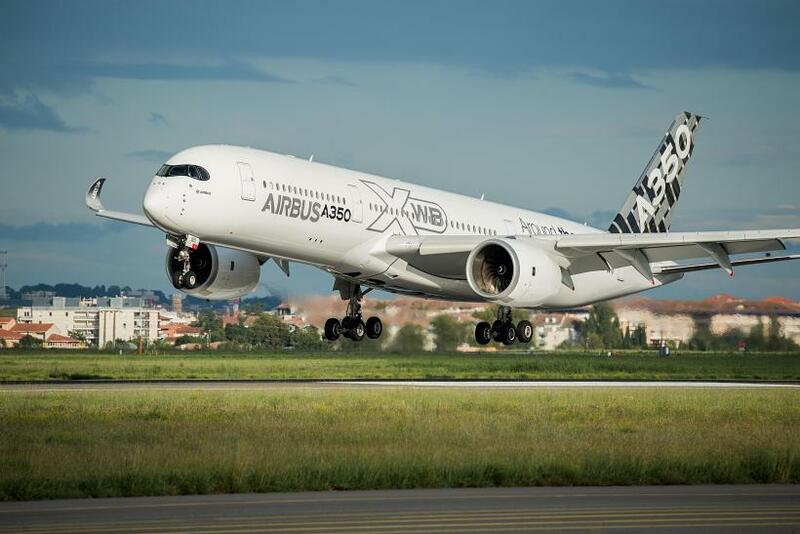 The order adds to the sales success of the A350, the latest product from European consortium Airbus and the direct competitor of Chicago-based Boeing's 787 Dreamliner. The recently launched A330-900 is part of the A330neo family, a modified version of the A330, which has been in service with airlines for 20 years. Boeing was offering the 787-9, the midsize model of its newest aircraft family. The 787 has been in service for three years, while the A350 is entering service later this year or early in 2015, after delivery to launch customer Qatar Airways in December. The A330neo, which has not flown yet, is slated to enter service in 2017. Delta already has some 787s on order, in fact. The purchase of 18 Dreamliners had been made by Northwest Airlines, which merged with Delta in 2010, but those airplanes will not be delivered until 2020 after Northwest deferred the order due to economic difficulties. The A350-900 will join the Delta fleet before that date, since there are dozens of delivery slots available after Dubai-based Emirates Airline canceled an order for 70 earlier this year. The availability of early delivery slots -- a plus in the market for large commercial jets, which are booked many years in advance -- may have helped tip the balance in favor of Boeing, analyst Michel Merluzeau told Bloomberg News. According to sources cited by Leeham, the longer-range A350 will be used on routes across the Pacific Ocean while the A330 will fly over the Atlantic. Delta already employs several current-model A330s on Atlantic routes. The A350 seats up to 314 in a three-class configuration and can fly a full load of passengers and cargo up to 7,750 nautical miles, or 14,350 kilometers, making it one of the longest-range aircraft in the world, well suited for the long overwater stretches of Pacific routes. The A330-900, the larger of the two models making up the A330neo (for "new engine option") family, seats up to 310 in a three-class layout and can fly nonstop for up to 6,200 nautical miles. Rolls-Royce is the sole maker of engines for both the A350 and A330neo. The A350 has a total of 750 orders; the A330neo, launched earlier this year, around 125, according to Airbus figures that do not include the Delta order. Boeing has sold 1,054 Dreamliners to date.